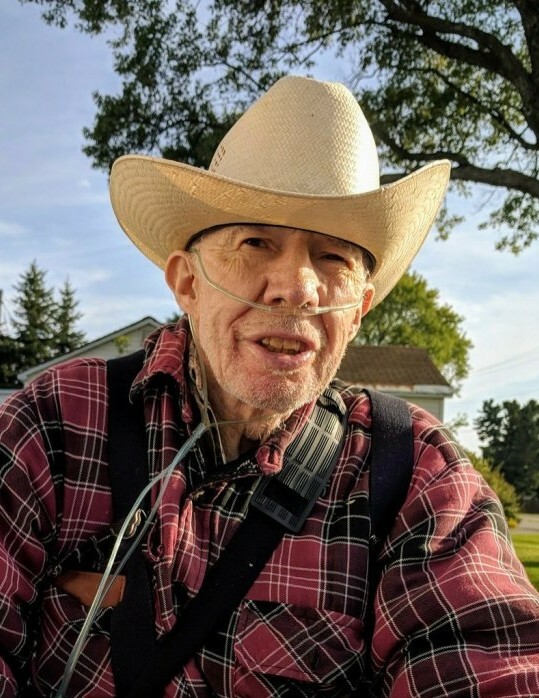 Allen F. Lundberg, Jr., age 78, of Rapid River, passed away early Wednesday morning, January 23, 2019 at his home in Rapid River following a lengthy illness. He was born on April 20, 1940 in Escanaba, the son of Allen and Lillian (Olson) Lundberg. He graduated from Rapid River High School and was a lifelong member of Calvary Lutheran Church. Allen spent many of his adult years helping to run their family farm in Ensign and took pleasure in saying he was a farmer. He loved his family, his land, and animals. Allen would happily talk about the good old days whenever he had the opportunity, and had an amazing ability to recall even the finest details of his experiences. He also proudly spoke of his Swedish and Native American heritage. In his later years, Allen found joy in finally owning horses, a lifelong dream of his, spending many happy hours caring for Big Dan and Champion. Allen loved challenging his mind and playing checkers. He will be remembered as a great conversationalist and teller of stories, but most especially by the riddles he loved to share with people. Allen will be remembered and deeply missed by those who loved him. Allen F. Lundberg, Jr. is survived by numerous cousins. He was preceded in death by his loving parents, Allen and Lillian Lundberg. Visitation will be held from 1:00 p.m. to 2:00 p.m., Sunday, January 27, 2019 at the Anderson Funeral Home in Gladstone. Funeral services celebrating the life of Allen will follow at 2:00 p.m., Sunday, in the Anderson Funeral Home Chapel with Rev. Stephen Gauger officiating. Burial will take place in the Rapid River Cemetery. In lieu of flowers, the family requests memorials to please be directed to the Delta Animal Shelter.